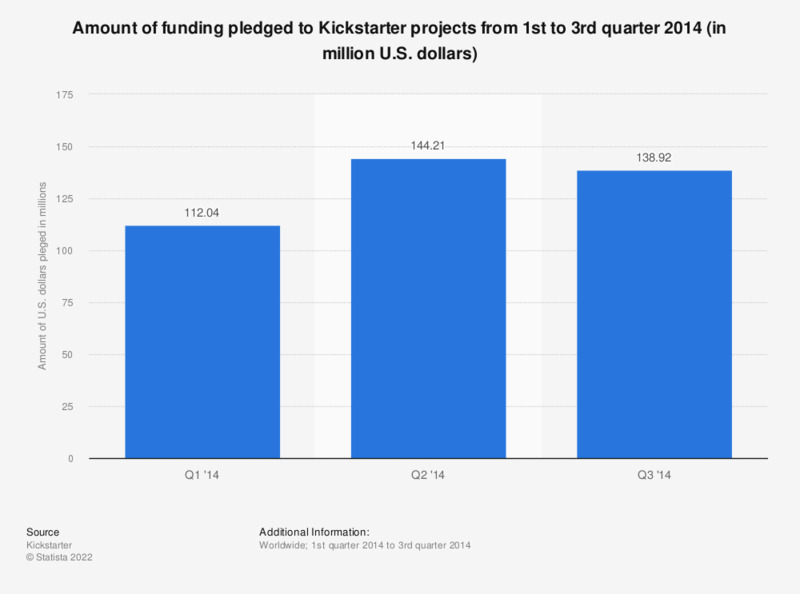 This statistic shows the amount of dollars pledged for project funding on Kickstarter as of the third quarter of 2014. During this period of time, 138.92 million U.S. dollars were pledged to projects on the crowdfunding platform. Overall, 6,124 projects reached their funding goal during the quarter. The average amount of community money pledged per day was 1.5 million U.S. dollars.